While this may be relatively new to your ears, animal communication, sometimes known as interspecies communication has been around for a very long time. St Francis of Assisi born 1181, the patron saint of animals and environment was said to have talked with animals and that they understood one another. 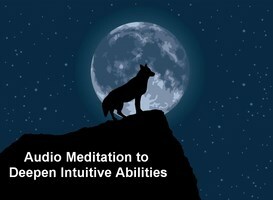 Everyone has intuitive abilities, although most people do not realize it. Animal communication is a way to communicate with animals, as we communicate with our friends and family. While the animal is unlikely to open it’s mouth and “talk to us” like cartoon animals on tv, when you tune in and listen they actually have a lot to say. Using skills we were born with and have forgotten, you can tune into the animal using a variety of simple techniques to engage in a communication with your animals. How would animal communication help me? You may want your animal to understand you and certainly want to understand your animal better. You want peace and harmony in your home with your pet. If you are an animal professional you want peace in your animal work. If you volunteer with animals, you want them to be comfortable and feel safe. 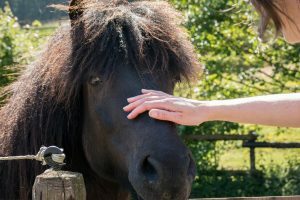 How does animal communication help my animal? Your animal will be able to share with you insights into their likes, dislikes, wants and needs. Your animal will be able to share with you dietary requests. They may give you some insight into how they are feeling emotionally, physically and mentally. Whatever the how and why of animal communication, it is a non-invasive technique and has provided some incredible insights to pet owners and pet professionals around the world. Some people have been very skeptical about this kind or work but like you, would do anything to help their animal or have a better understanding of their pet. Even the skeptics like what they hear. In fact you can learn it yourself from joining one of our practical interactive teleclasses here or indeed apply to join one of our professional programs here. Registration for our next Animal Communication teleclass is due by the 21st January 2017, perhaps you’d like to join us? Follow this link to register today.